Phenomenal male & female vocalists lead an incredible band that performs hits from all eras! 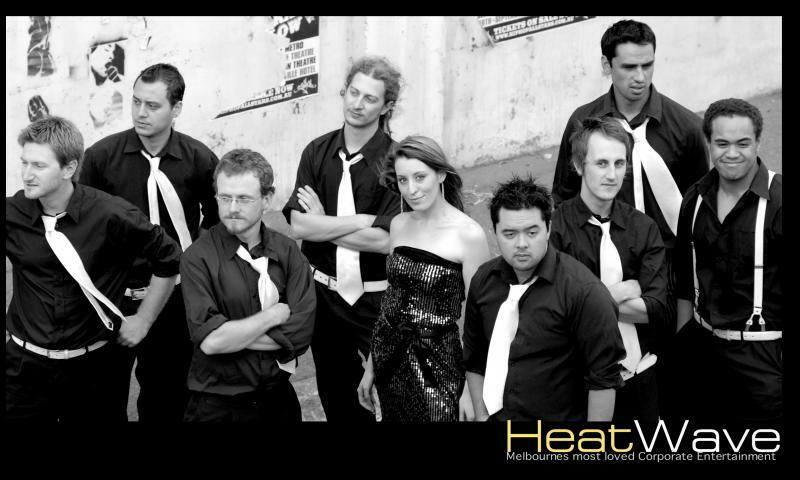 With an optional brass section, percussionist and dancers, Heatwave is one hot band not to miss out on! WOW... WHAT A BAND!! 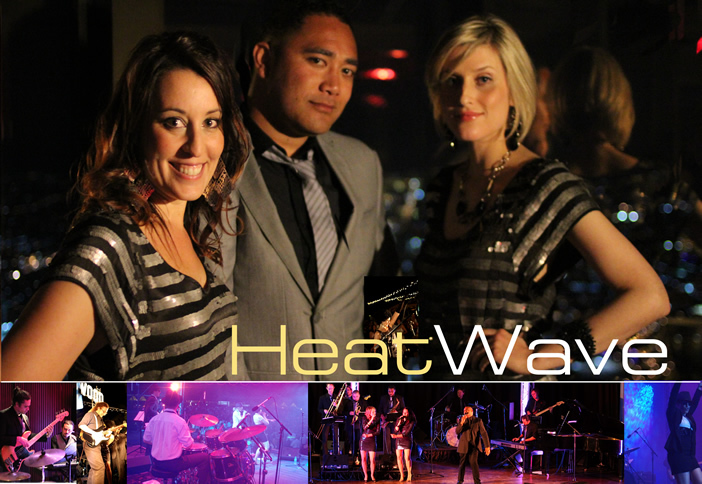 Heatwave’s 6 Core Members – Sensational Male and female lead vocalists with an equally versatile backline of drums, keys, guitar and bass. Extras include a smokin’ 3 piece Heatwave Horns, an additional female vocalist. Percussionist and dancers. Top 40, Disco, Soul, Jazz, Motown, RnB, Swing, Reggae, ROCK, Funk and the list goes on. Heatwave's core members have a wealth of experience in all styles of music - What does this mean? 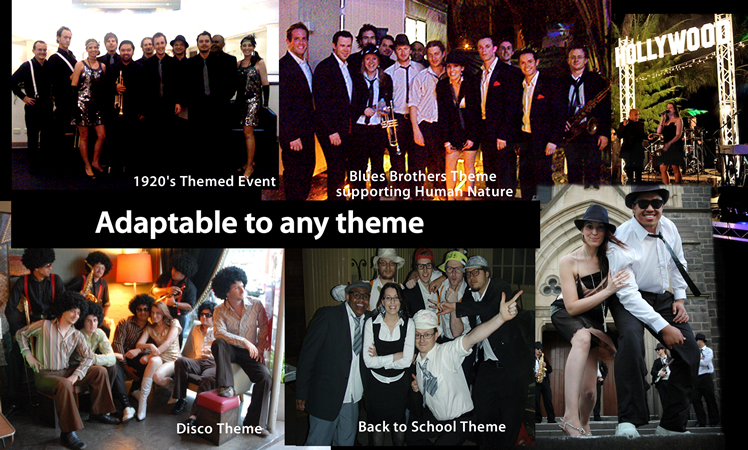 We have the versatility to keep your audience on the dancefloor all night long. Yes Heatwave can adapt to any theme! Their ability to be theme chameleons is due to their extensive repertoire list and sensational vocal ability. Don’t have a theme? You may choose to have our signature sets. These three energetic dance sets boasts a flavour for everyone. Themed and costumed to delight, Heatwave will help take your audience back to the time when flares were hip and the Blues Brothers were the kings of Soul.... The first set includes favourite dance beats of todays artists combined with unbeatable classic hits which will get your audience groovin'. After a short break, Heatwave's second set will take you back with those infectious disco grooves of yesteryear, highlighting the legendary Jackson Five and KC & The Sunshine Band. Finally, during the third set, you will be treated to some Blues Brothers flavour as Heatwave performs the best of Soul & Motown. You'll be sure to shake that tail-feather! 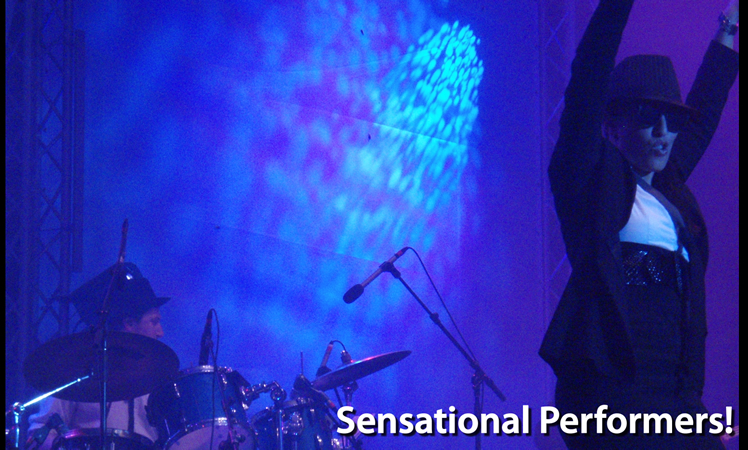 With Heatwave entertainment your guests are in for a fantastic night.